The blog “Making a Research Paper Outline” spoke about how to create a basic outline before you begin writing the paper. Not only does that make things clear from the get-go, but also makes the process of writing a research paper systematic. It helps lay the initial framework for your paper. 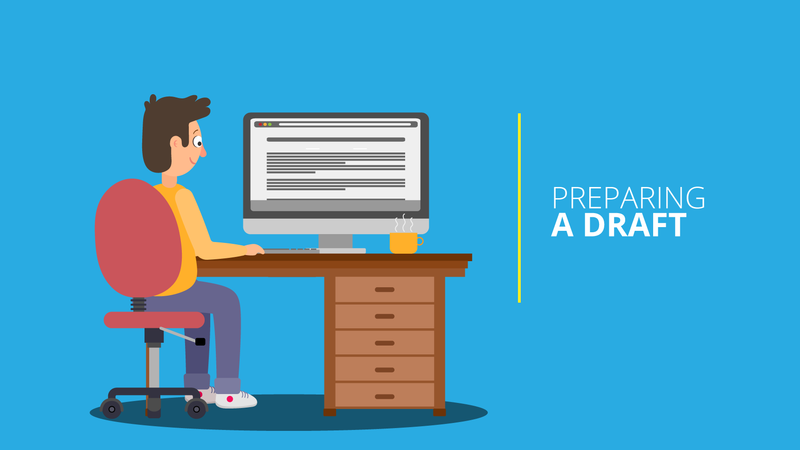 Preparing a first draft is where you test your outline and elaborate on the ideas to support your thesis. It is not the final product. A properly formatted title page is very quick and easy to do. It’s the first page of your paper, so a blatant mistake here will create a bad impression, now who would want that? Most title pages have a lot of wide space and must contain all the necessary information in a clean manner. We will not be talking about the format of the title page as it is bound to be different for different universities or departments even. So it is advised to inquire about the specific requirements for your department and university. Some universities follow certain standards in which case the format remains the same throughout. We shall address that in another article. An abstract summarizes the major aspects of the entire paper in a prescribed sequence. It includes the overall basis of the study and the research problems you investigated, the basic layout of the study, findings or trends found as a result of the study and a brief summary of your interpretations and conclusions. 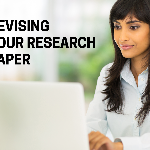 It speaks of the major aspects of your paper and helps the reader decide whether they want to read the rest of it. Hence, the abstract must be thought through and written well. First and foremost to writing your introduction is, writing the thesis. Your thesis should state the main idea in brief terms. After you have a working thesis, talk about the body of your paper before you write the rest of the introduction. Each paragraph in the body should explore one specific topic that proves, or summarizes your thesis. Revise your introduction several times to refine it. Be sure your introduction provides a preview to the topic you are presenting in your paper. The rest of the paper, starting from the body will contain the actual data that you have strived to collect over the research period. A transition should be maintained from the end of your introduction to your first topic. This transition from one topic to another throughout the paper should be carefully examined, ensuring this will create a smooth flow from one topic to another. This broadly falls into the body of the research paper. The data collected over the course of the study needs to be interpreted in a well-defined manner to make the most of the data. The materials used, the algorithms, statistics and equations become an integral part of this section. A good conclusion should make a strong statement, ensures that any questions raised in your paper have been answered. It is important that you do not introduce new information or ideas in your conclusion. It is generally at this point you realize that you have not yet made certain arguments you wished to make or pointed out evidence that you feel is important to understand the paper. Worry not, for this is a draft and make notes of the points that cross your mind, so that, when you write your final paper its perfect or at least close to perfect.